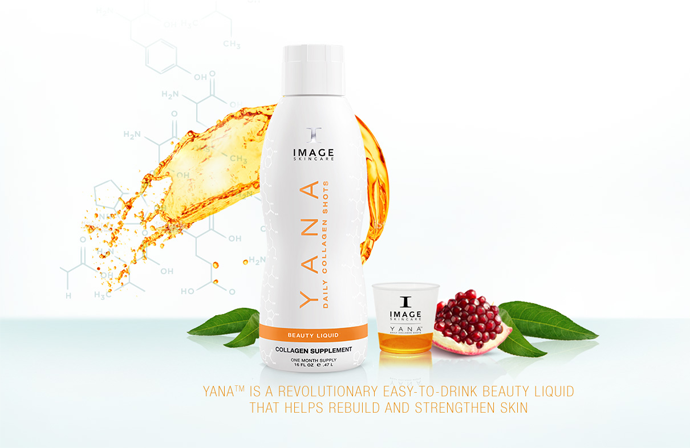 We cannot contain our excitement about the latest luxury skincare treatment to land at the salon- YANA Daily Collagen Shots from Image Skincare- the latest innovation in non-surgical skincare. YANA is a revolutionary youth-boosting skincare liquid, designed to be taken daily as a drink ‘shot’, which works to rebuild and strengthen the skin by boosting your body’s own natural collagen production. Containing patented bioactive collagen peptides, the drink has been clinically shown to help increase skin firmness, reduce wrinkle depth and restore hydration in the skin; vital for ageing skin which can often suffer from dryness. In as little as 30 days, YANA Daily Collagen Shots can seriously improve your skin health, texture and firmness; leaving you feeling fantastic and looking radiant. To celebrate the launch of YANA Daily Collagen Shots at Laura Leigh Hair & Beauty, we’ll be running two exclusive events on Friday 4th August from 9am-1pm and Wednesday 16th August from 5pm-8pm. With our YANA expert on hand to tell you all you need to know about the shots, you’ll be able to ask questions, get to grips with the product and enjoy a tasty sample. There will also be goody bags and some fantastic treatment deals on offer. Our clients are invited to drop in at a time best for them- simply call the Front of House team on 01242 530598 to secure your place.